Located on the tip of the tip of the Yucatan Peninsula, Hyatt Ziva Cancun offers striking ocean views. 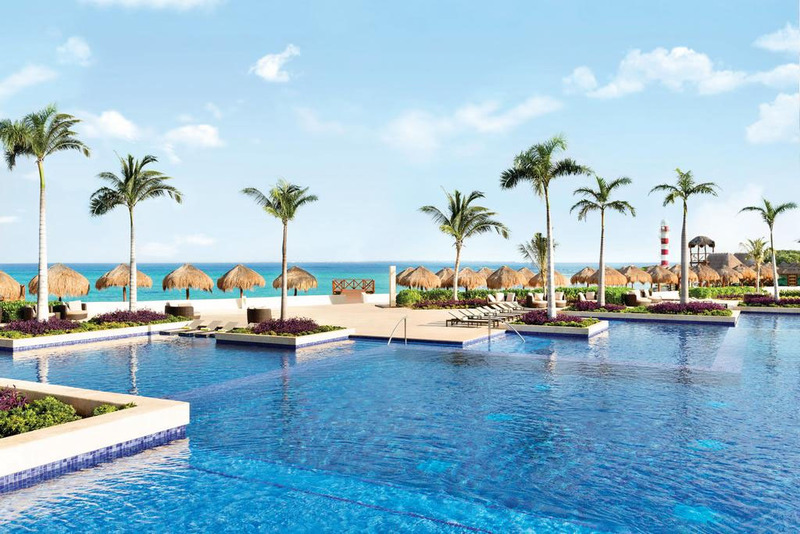 Hyatt Ziva Cancun is set in a prime location on the tip of the Yucatan Peninsula. Surrounded by the sea on three sides, the property offers striking 270-degree ocean views and access to two picturesque beaches. 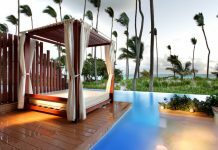 Guest rooms are upscale and modern, with marble bathrooms, hand crafted furniture, and balconies with views of the sea or lagoon. All room categories include flat-screen HDTVs with bluetooth speakers, and minibars stocked with soft drinks as well as premium beers and liquors. The swim-up suites (ages 13 and up) are especially glamorous, offering direct semi-private pool access. Turquoize is the resort’s new adults-only tower, featuring ocean view rooms with balconies and private hot tubs. 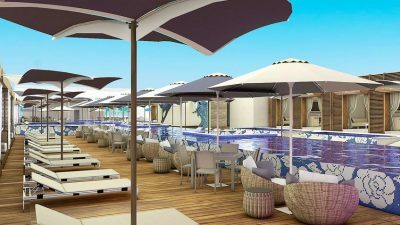 The resort has 17 restaurants, lounges, and bars, where guests can dine on everything from sushi to American diner-style fare. Tres Cerveza sports bar is home to the only hotel microbrewery in Cancun, serving up three custom craft beers that are distilled on-site in small batches. Juana Margarita is another noteworthy venue, with a tequila sommelier on staff to help guests choose from over 150 different tequilas. Kids will love Pasteles, a colorful dessert parlor filled with chocolates, pastries, and cotton candy. The 18,000 square-foot spa offers a sauna, a cold plunge pool, and a whirlpool tub. Treatments range from mud wraps to caviar facials. Guests can relax in one of three infinity pools, including an adults-only rooftop pool. 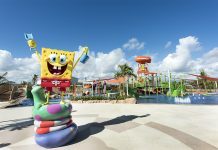 The resort also has a cheerful kids’ club with supervised activities, as well as a lagoon where guests can swim with dolphins. 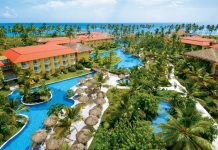 Other perks featured in the all-inclusive package include Spanish classes, live theater shows, and non-motorized sports like snorkeling and biking.